We are thrilled to showcase the most memorable performances of the 2017 BBC Proms, the UK's annual celebration of classical music. 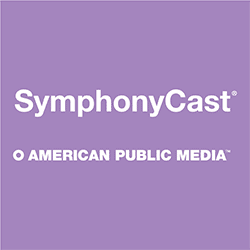 SymphonyCast will broadcast 10 concerts, in their entirety with the exception of the last night of Proms, which will be cut for time. That's Wednesdays at 9 p.m. and Saturdays at 5 p.m.